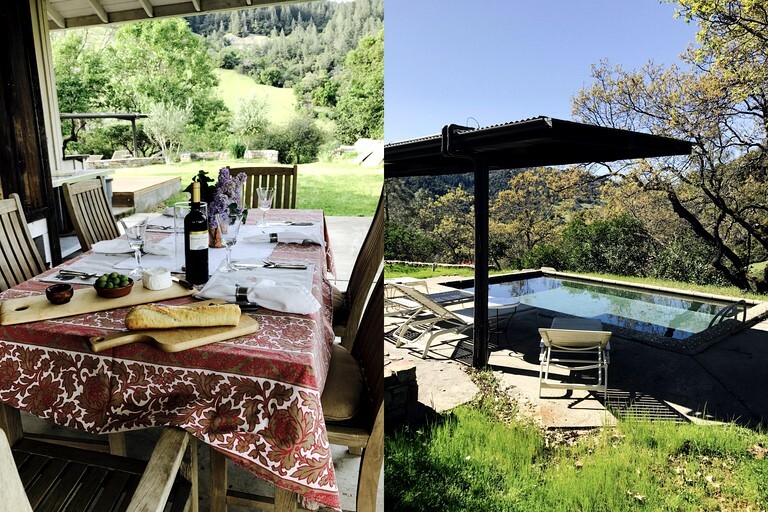 This 1,600-square-foot cabin rental is a beautiful escape in Cloverdale, California, that overlooks Alexander Valley in Sonoma Wine Country. 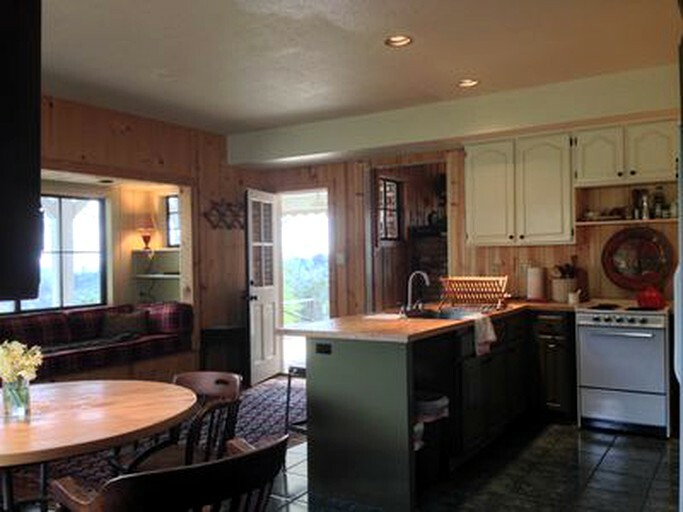 It offers up three bedrooms and can sleep up to six guests. 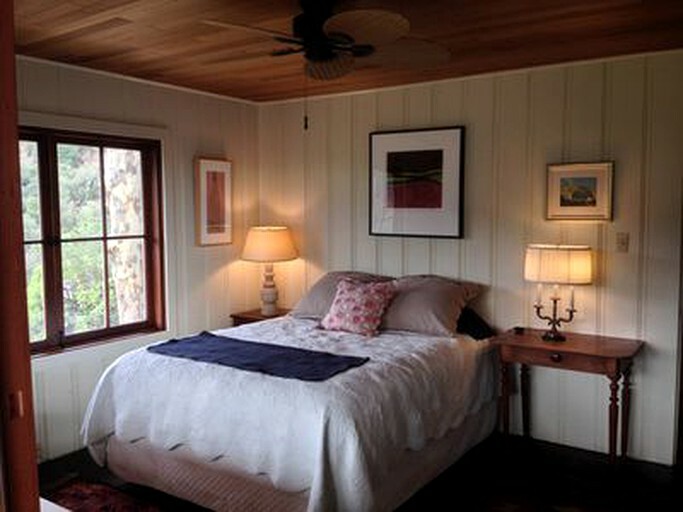 The first bedroom comes set with a king-size bed, and the rest are furnished with queen-size beds. They are decorated with unique and simple artwork. 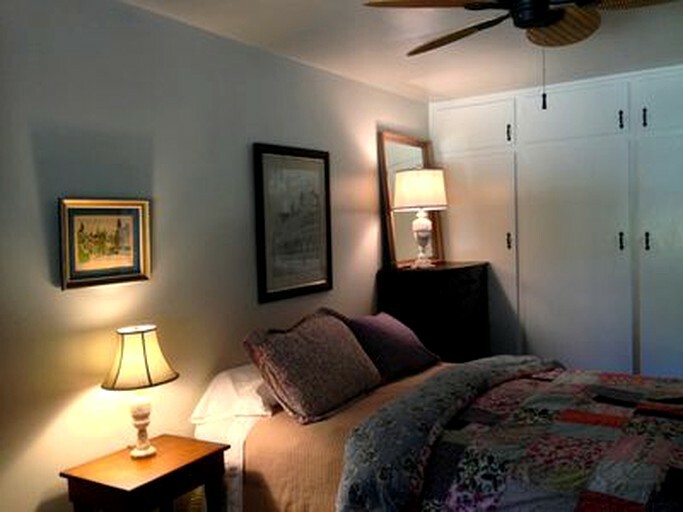 In addition, glampers will enjoy having a closet, dressers, lamps, and rugs. 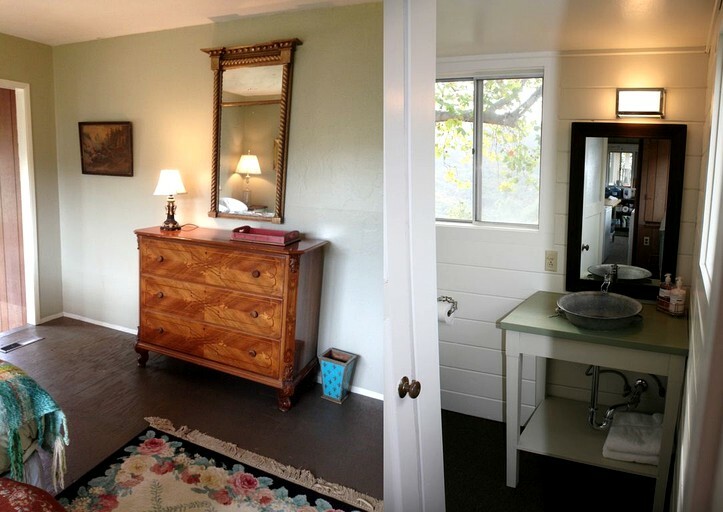 In addition, the two full bathrooms come set with showers and one offers a bathtub. The top features here include a large porch with a covered area for outdoor dining, a fire pit, and a solar heated pool. 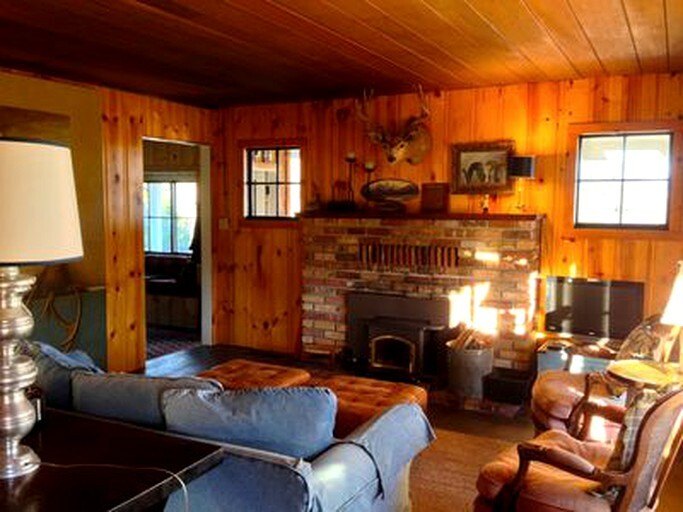 The rental is heated by two wood-burning fireplaces during the cold season. 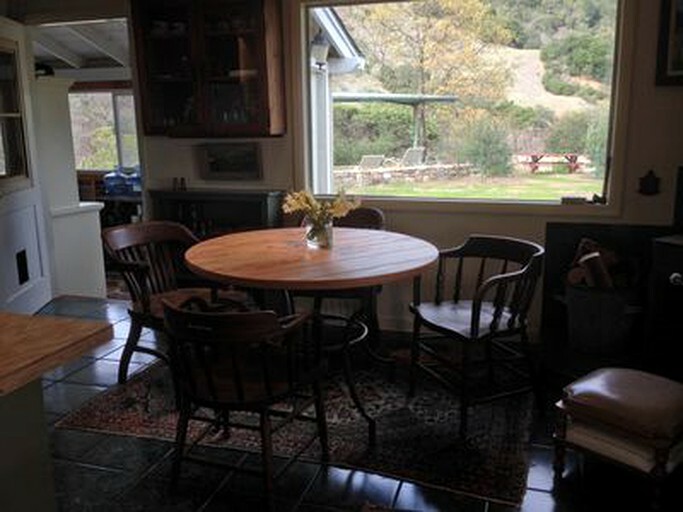 Hosts will provide guests with wood and kindling supplies. Glampers will enjoy basic home appliances including a clothes dryer, a hair dryer, an iron and an ironing board. 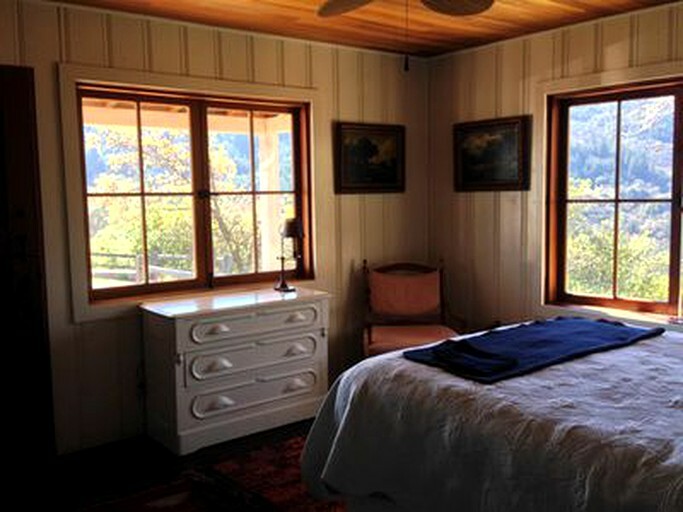 Furthermore, guests will have free internet, linens and towels provided, and parking. For guests convenience, there is also a washing machine. 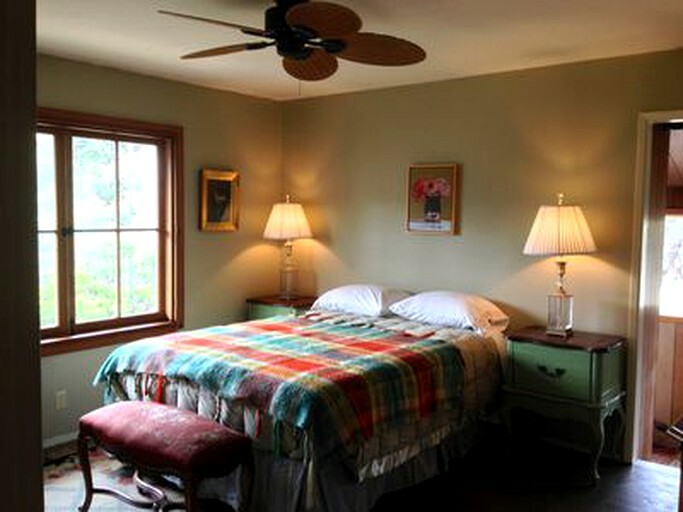 There is no air conditioning; however, guests will find ceiling fans in each bedroom. 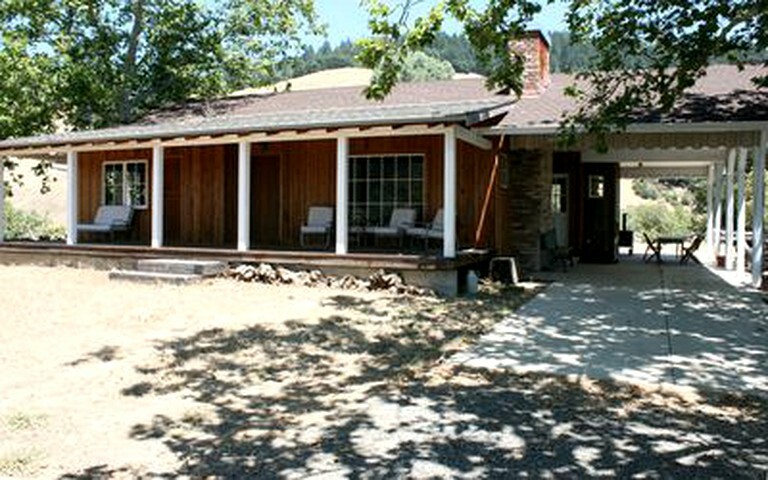 This ranch escape is located in Sonoma County and set in the town of Cloverdale, California. 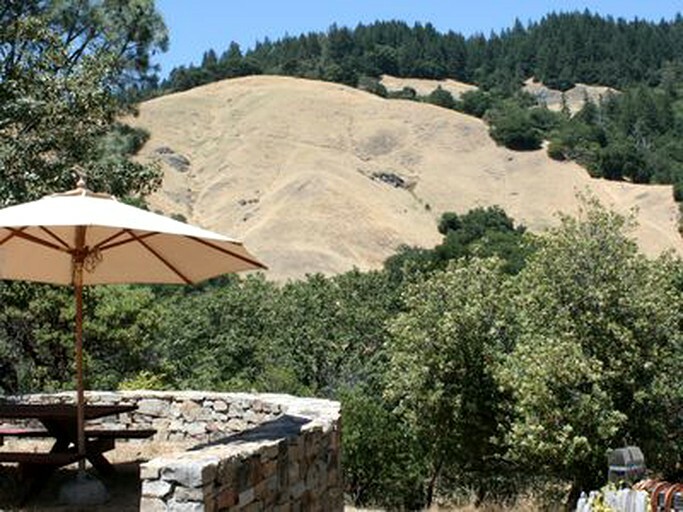 It is made up of 50 secluded acres and faces the stunning northern Alexander Valley. 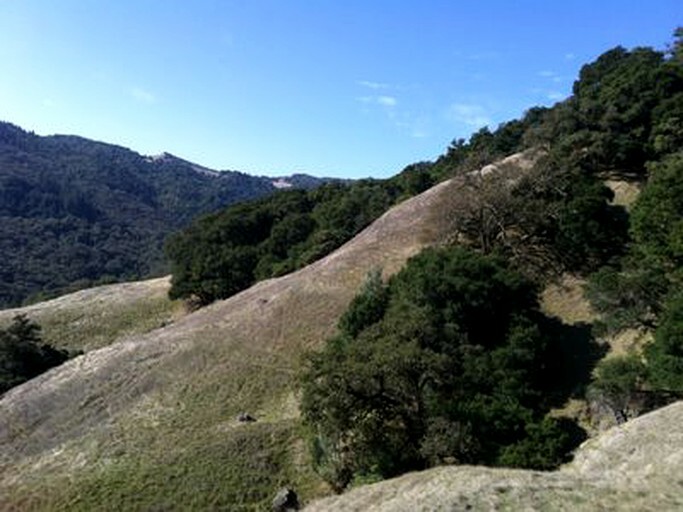 Located in the foothills of the Redwood Mountain, it is close to many small towns in Sonoma County including Healdsburg and Booneville. 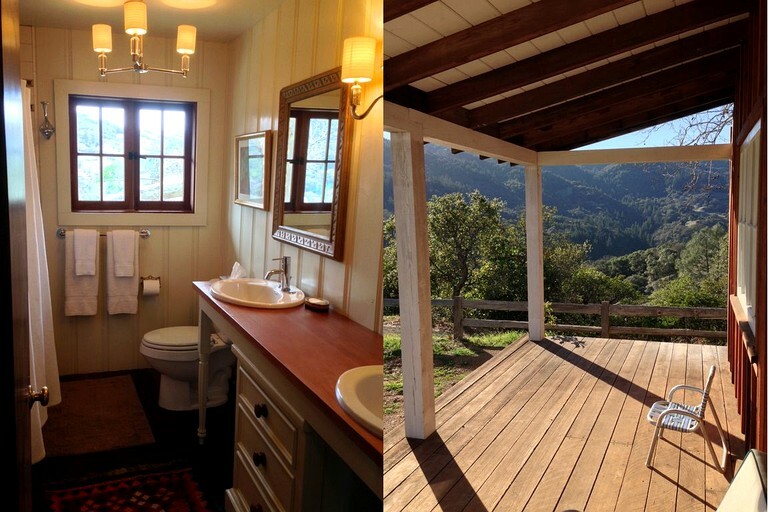 With 360-degree views of the surrounding mountains and nestled among lush fir forests and native flora and fauna, this rental is a true glamping escape. 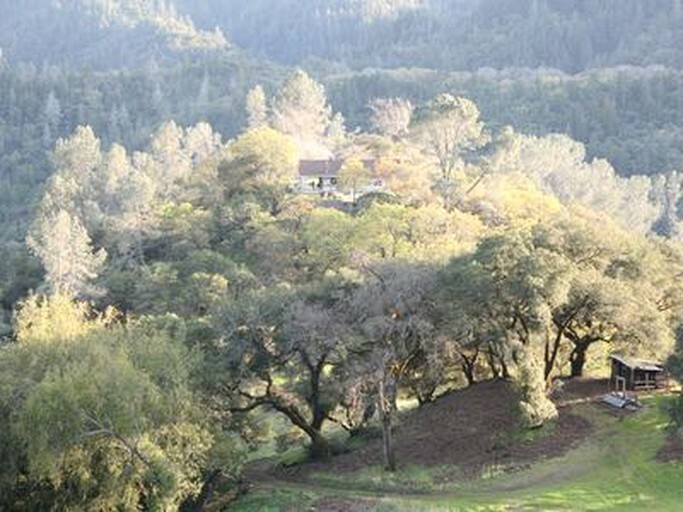 The town of Cloverdale lies in the northern part of Sonoma County and is nestled along the Russian River. There are lots of wineries in the area for tasting and picking up a bottle to enjoy back at the glamping site. 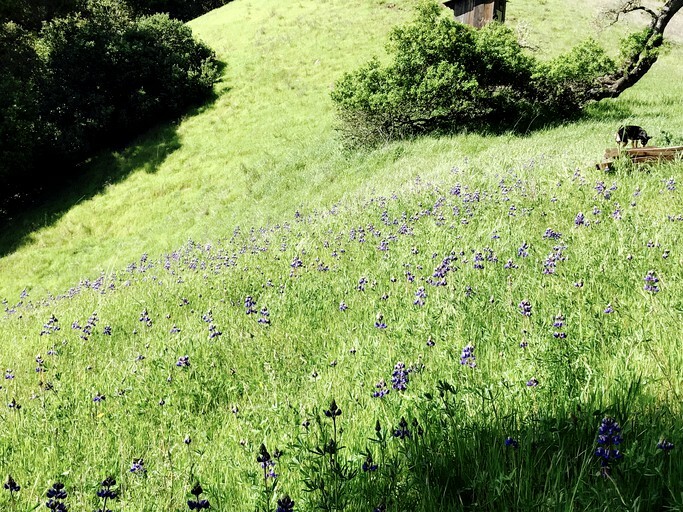 Guests will enjoy the surrounding tours and wine tastings at one of the many vineyards in the wine appellations including the Alexander Valley, the Anderson Valley, Dry Creek Valley, and Mendocino County. Here guests can enjoy wildlife viewing which includes deer, pigs, turkeys as well as hawks and even golden eagles! 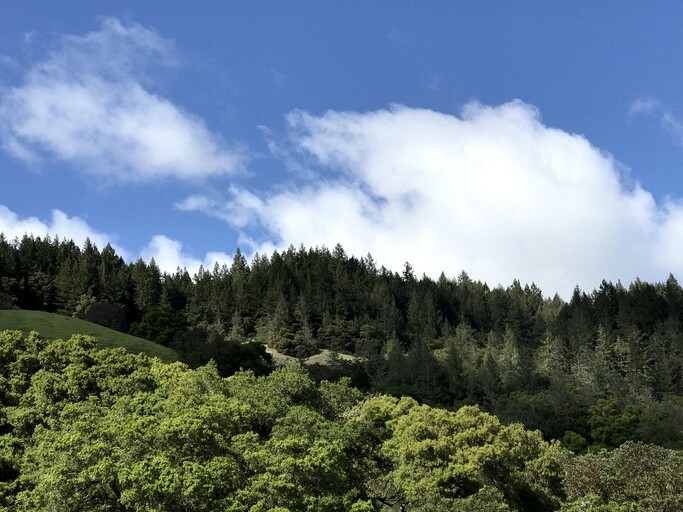 Glampers looking to head into town will enjoy a short 10-minute drive where they will find plenty of restaurants, cafes, a movie theater and a farmers market! 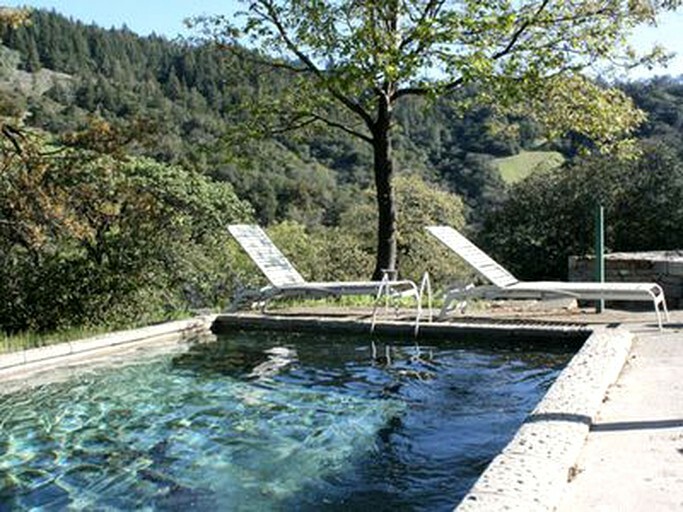 In the summer, glampers can take a trip to the Russian River swimming holes, located a close three miles away. 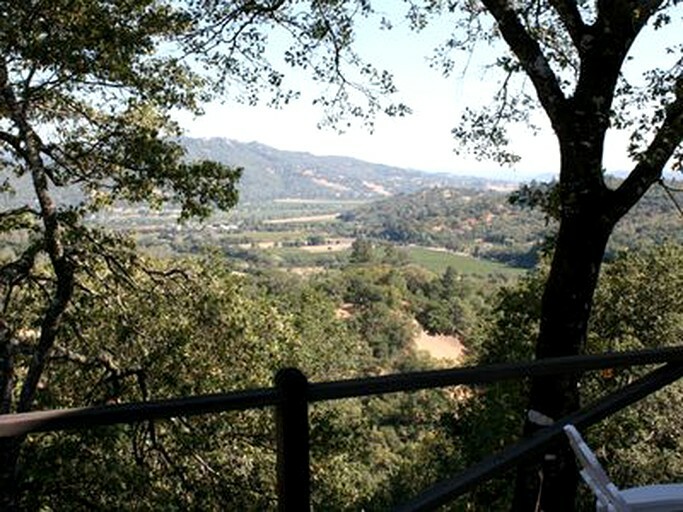 Healdsburg is just 20 minutes south, Hopland 20 minutes north, and Booneville in Anderson Valley is 35 minutes west. This property requires a three-night minimum. There is a minimum age limit for renters, and children are welcome. 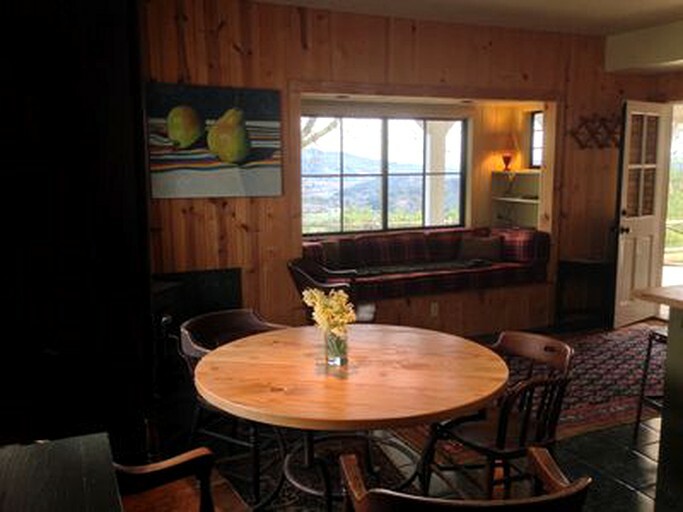 This property is non-smoking only, as the hosts are extremely sensitive to tobacco smoke.